Strangler figs grow up around other trees and eventually strangle them, causing the supporting tree to die. Years later, the fig vines remain with a hollow interior where the host tree once grew. 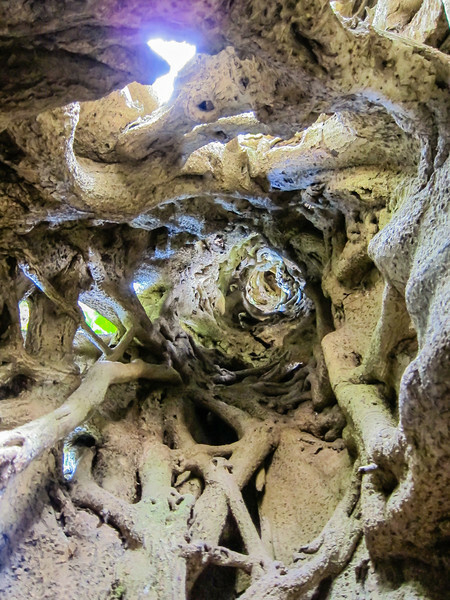 This is a picture taken inside of a strangler fig vine, where a host tree once grew, aiming up towards the sky.